This entry was posted in art journal, gods and goddesses, graphite, painting, pen & ink, sketchbook, watercolor and tagged art journal, buddha, crescent moon, Daniel Smith watercolors, eclipse, Ganesha, Holbein, lunar, new moon, Pentalic Nature Sketch Journal, Platinum Carbon pen, vedic, watercolor. Bookmark the permalink. Very nicely executed. I love the color scheme. 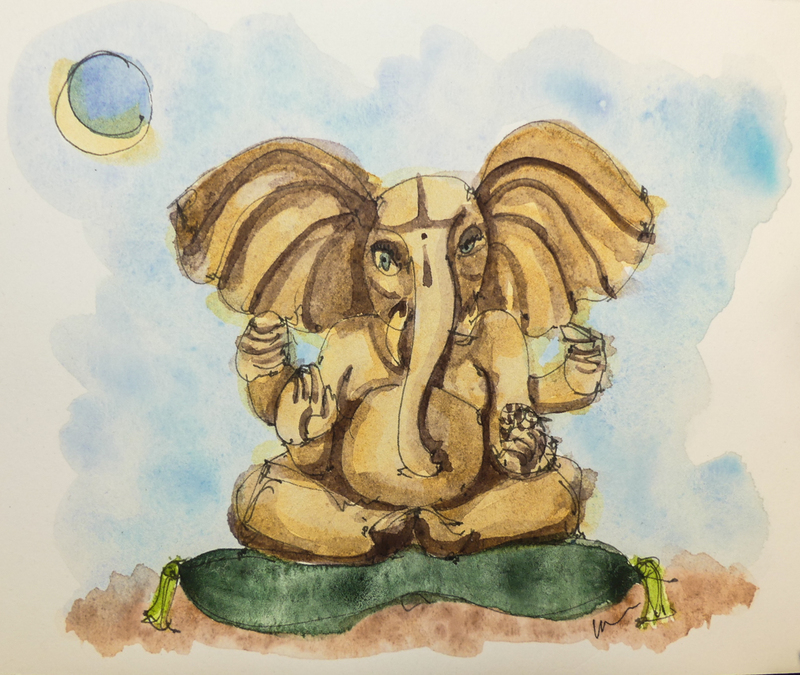 I’m back to doodling Ganeshas… I have a four-foot tall one Mitchell wants me to finish.